its finally 2016 and that means we are closer to the introduction Swedish tree than ever before. Its first branch has been confirmed as planned for this year and I’m rather worried about how the line will turn out to be honest, but hopefully it will turn out decent in the end. Anyway with the tech tree introduction rapidly approaching I’ve been thinking about some of the stranger branch ideas. And I thought that it would be neat to show off one of them here today. Currently turreted TD’s are quite a rare sight in WoT, most nations preferred the simplicity and higher protection of casemate TD designs. The few turreted tank destroyer lines currently in the game are mostly made up of vehicles with mediocre armor and mobility but with potent guns for their tier. There are a few vehicles that are more focused on mobility but the top tiers of these lines have both been big and rather slow vehicles. The Swedish take on turreted TD’s (from tier 6 and up at least) has been much more mobility focused, and closer to the American M18 hellcat than anything else. They are all lightly armored vehicles which have fully traversable turrets and usually excellent gun depression. And unlike the existing turreted TD’s some are equipped with autoloaders. the reason I say this is one of the crazier branch ideas is that there are several problems with the line that for right now anyhow means its unlikely to get implemented. For instance the line uses several visually similar designs, and only has one or two vehicles that are relatively well known. Personally however I think there is still a lot of potential in the line since it would offer something unique in terms of gameplay. In any case I hope that you find the article a interesting read, or at least interesting to look at. In the mid 1930’s the Lansverk company decided to produce a series of prototype self propelled anti aircraft guns on a extended L-60 light tank chassis using the Bofors 40mm autocannon. It was license produced in Hungary with some minor changes as the Nimrod. Another 6 vehicles were sent to Finland during the Winter war, and would serve throughout WW2 with Finnish forces. The Swedish forces did however not adopt the design as it was deemed insufficient for the anti tank role. This vehicle would start of the line at tier 3, possibly branching of from the Strv m/38 in the medium branch. In terms of gameplay I would expect something like a TD version of the low tier British light tanks. 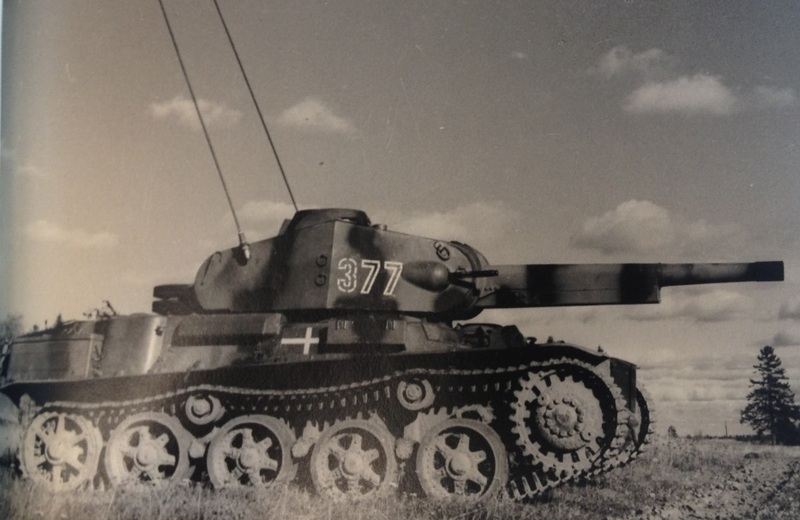 In 1950 a prototype turret armed with the 57mm Pvkan m/43 gun was tested on a Strv m/40L chassis. Although it was essentially a attempt to re-arm the 37mm armed light tanks then in service the vehicle was designated a tank destroyer. During trials problems arose with the optics for the main gun and it was decided to focus on the less problematic Pvkv II/III platform. The closest in game comparison would be the M8A1 with the 57mm gun although with better gun depression, a lower profile and less armor. Constructed and trialled alongside the Pvkv IV, the Pvkv II and III was based on the Strv m/41 chassis and mounted either the 57mm Pvkan m/43 or the 75mm L/60 Lvkan m/36 anti aircraft gun. The gun was mounted in a open topped turret which gave the vehicle a excellent gun depression of 12 degrees. Ultimately the work on the Pvkv II/III was scrapped in favour of up-gunning a more stable platform like the Strv m/42. I honestly don’t even know what to compare this vehicle with, its closest comparison would probably be the M10 although taller. In 1965 the Swedish army set up a series of requirements for a replacement for the Ikv 102 and Ikv 103 assault guns. One of the 6 designs submitted from Landsverk was The Ikv 65 Alt 5. The vehicle weighed 14 tons and was armed with a low pressure 90mm gun. It was powered by a 270hp Volvo diesel engine which gave it a high power to weight ratio of 19,3hp/t and a top speed of 65kph. However the armor was only 12mm thick with 25mm in the gun mantlet. Later this design would loose its fully traversable turret and change to a semi casemate design which ended up losing to a competing design. This is practically where the line really starts, from here on out all the line will consist of agile vehicles with a top speed often rivalling the light tanks of the same tier. As for the Ikv 65-5 it would essentially be a equal to the M18 Hellcat. One of the designs proposed by Hägglunds for the 1965 Ikv project. This design featured a rear mounted turret with a 90mm autoloader gun. The vehicle offered a reduced height and a lower weight than the Ikv 65 design and also boasted a top speed of 85kph which may have been a bit optimistic. In any case the design was eventually scrapped in favour for a more conventional one. I would expect this vehicle to play something like a tier 7 version of the Object 416 although with a autoloader gun. With its first three prototypes constructed in 1969 the Ikv 91 was a light infantry support vehicle capable of operating in areas usually inaccessible for tanks. 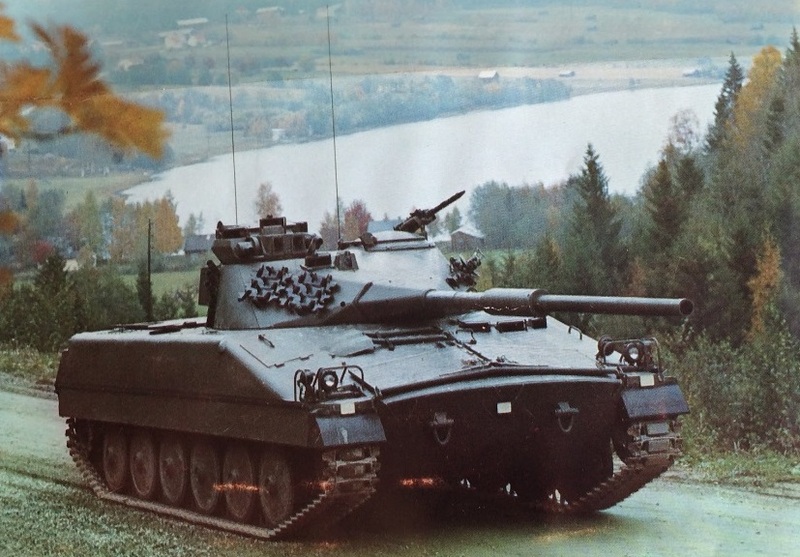 The prototypes were used in a number of trials in the mid 70s, resulting in a slightly reworked version of the Design which entered service with the Swedish army in 1976. In the game this vehicle would be rather similar to the Charioteer in the British line. They both share a lot of their traits like a lack of armor, good mobility and both are armed with the 105mm L7 gun as their top gun. Personally I would think this would be the highlight of the line. 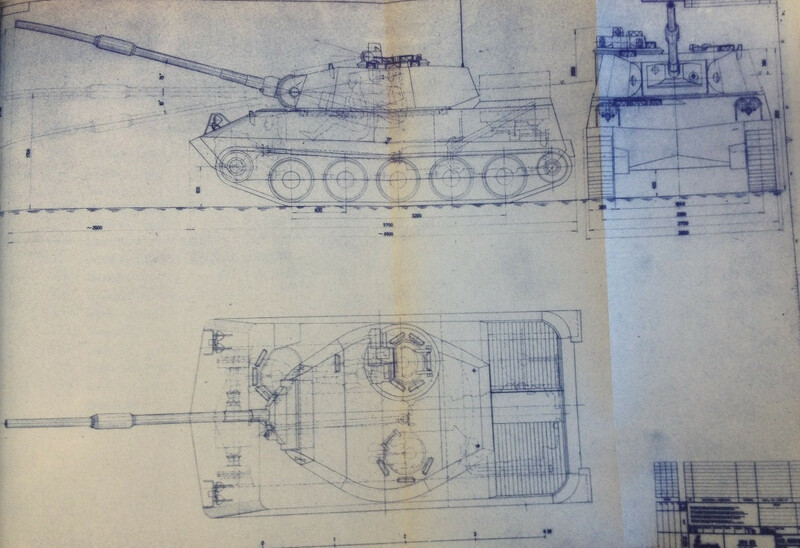 In 1972 Plans were drawn up for a heavier Ikv 91 mounting the 105mm L7 gun. The hull armor was increased from 20 to 40mm maximum with discussions for further improving the turret amour up to 250mm in the front. Tests on a Ikv 91 chassis in 1971 had already proven the 105mm gun could be mounted. 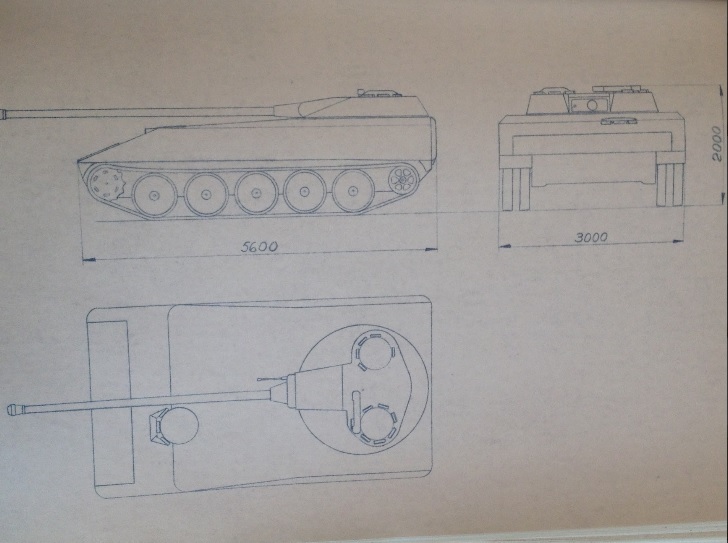 Although this project was cancelled, the idea of a better armed Ikv 91 would continue and eventually lead to a series of prototypes in the 1980s and 90s. I would expect this vehicle to play similarly to the FV 4004 at tier 9, although likely trading gun stats and gun depression for its smaller size, mobility and turret armor. The UDES 14D is one of the more problematic vehicles of the line. It would likely require the use of a 12cm gun proposed for other UDES projects to be viable for tier 9, but it’s doubtfully it could have mounted such a gun. At best this would be a semi-historical solution to the tier 9 issue. In 1974 work was well under way on a new Swedish medium tank concept called the UDES 15/16. To test the new turret and autoloader intended for the new vehicle it was proposed to use a existing Ikv 91 chassis. Drawings and a mock-up was completed but its not known if the project progressed further. 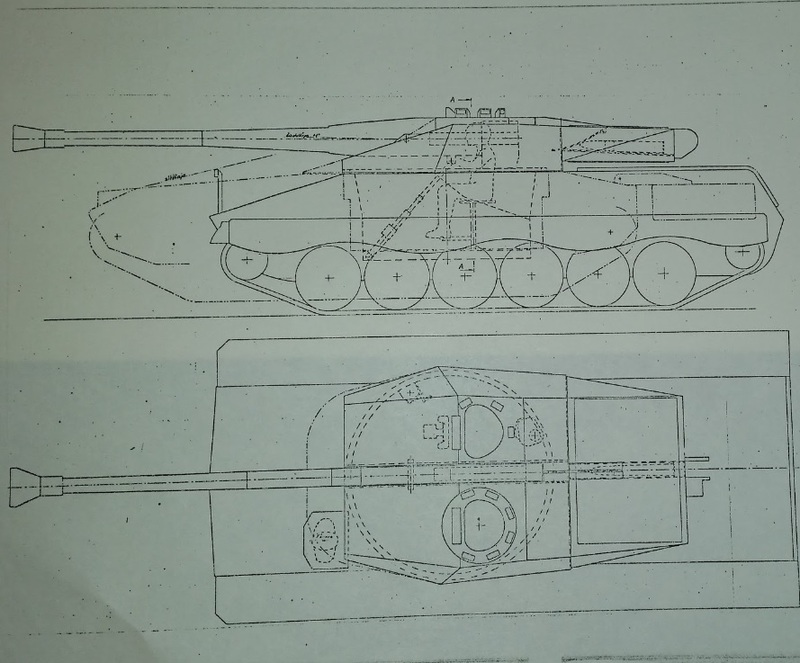 The UDES 15/16 TR would be a rather unique TD, its closest comparison in the game would be the AMX 50B which also has a 12cm autoloader. But unlike the French heavy the UDES 15/16 TR would be a much smaller and more agile target. As with other vehicles in the line there isn’t a lot of armor to go around with only 20mm for the hull front. However The turret is substantially improved with heavily sloped armor up to 160mm thick. This however brings its own drawbacks as unlike the rest of the line this vehicle would suffer from 5dg gun depression. Although it was never really intended as anything other than a test rig for the new turret this is unfortunately the best candidate for a top tier turreted TD for Sweden. The alternative would be to use a turreted 15cm SPG project but that would likely not be such a good idea. As you can probably tell by now the line has its problems however I think there is a lot of potential in this line and that it could be a rather nice addition to the game. We will see what happens with the line, I wouldn’t keep my hopes up but you never know what you will find in the depths of the archives. Next time we will probably take another look at some early 70s Swedish tank projects.